This sounds like a great episode. The "I" who received a copy is Bill over at Holiday Contest and Sweeps. Continental US residents have through 7/19 to try to win. Good luck. There will be three winners. Holiday Contest and Sweeps is pleased to have had the chance to review a New DVD Release from Warner Bros. Home Entertainment recently. 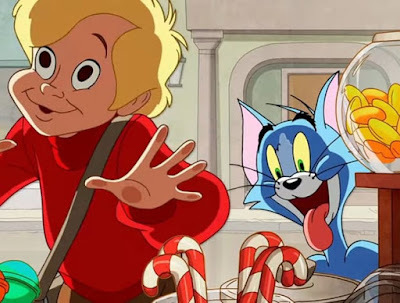 "Tom and Jerry" Willy Wonka and the Chocolate Factory". Warner Bros. is being gracious enough to give me the opportunity to hold a giveaway for this DVD and give three lucky readers who reside in the Continental United States and are 18+ years of age to win their very own copy of this DVD. 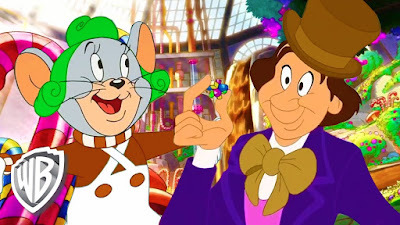 The world-famous chocolatier, Willy Wonka, meets the rambunctious cat and mouse duo, Tom and Jerry, in Warner Bros. Home Entertainment’s (WBHE) release of Tom and Jerry: Willy Wonka and the Chocolate Factory, the brand-new animated family film available on DVD July 11, 2017. 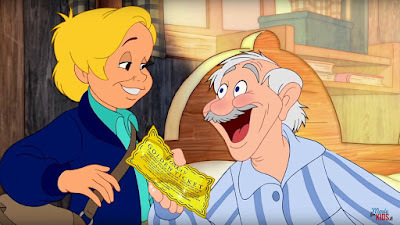 Based on the beloved children’s book, Charlie and the Chocolate Factory, by Roald Dahl, and the iconic musical family film Willy Wonka & the Chocolate Factory, this fun, new adaptation adds Tom and Jerry’s entertaining antics to the classic story of young Charlie Bucket’s unforgettable visit to Willy Wonka’s marvelous chocolate factory. Viewers will enjoy many familiar beloved songs, in this heartwarming and hilarious new film. 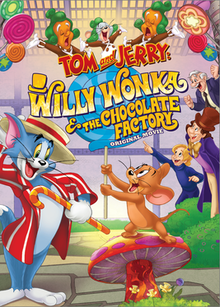 Tom and Jerry: Willy Wonka and the Chocolate Factory will retail for $19.98 SRP. 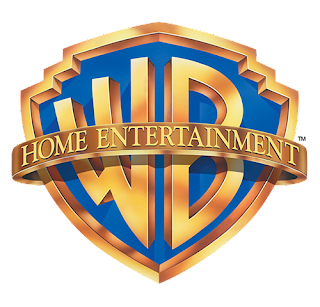 Tom and Jerry: Willy Wonka and the Chocolate Factory will also be available to own on Digital HD via purchase from digital retailers on June 27, 2017. Originally created by William Hanna and Joseph Barbera, Tom and Jerry emerged during Hollywood’s golden age of animation and became one of the most popular cartoon series in existence. The shorts focus on the never-ending rivalry between Tom the cat and Jerry the mouse. The plots of each short usually center on Tom’s attempts to capture Jerry. Jerry, however, is clever and quick on his feet so Tom hardly ever manages to catch him. Tom and Jerry: Willy Wonka and the Chocolate Factory will be available to own on June 27, 2017, on Digital HD. Digital HD allows consumers to instantly stream and download all episodes to watch anywhere and anytime on their favorite devices. Digital HD is available from various digital retailers including Amazon Video, Cinema Now, iTunes, PlayStation, Vudu, Xbox and others.